Since the age of six, television writer and producer Karen Hall ’78 knew she wanted to write. Her journey to find purpose as a writer and to discover what types of stories she wanted to tell would lead her to win distinguished accolades including the Humanitas Prize, the Women in Film Luminas Award and the Writers Guild of America Award for Hill, in addition to seven Primetime Emmy Award nominations. When Hall came to the College of William and Mary, she intended to major in Hispanic Studies and become a Spanish teacher. Hall said she only pursued the major for one year, changing course after an encounter with a particularly difficult reading of “Don Quixote” dissuaded her. She quickly realized she wanted to pursue writing and would go on to declare her English major, then take a life-altering playwriting class. Hall recalled overhearing two students talking about a difficult playwriting class taught by professor Louis Catron. Hall said the conversation struck her and that she decided to sign up for the class. In addition to teaching playwriting, Hall said Catron directed many of the main stage productions. Hall said Catron had a larger-than-life character, a booming voice, and every student who had him as a professor adored him. With his blunt advice and challenging writing assignments, Catron soon became Hall’s mentor. One of Hall’s major commitments while at the College was her involvement in theater. She said that theater consumed her life at the College. Hall particularly enjoyed the all-student productions that were performed as part of the Premier Theater program. Hall said she had a good number of her one act plays produced in Premier Theater during her time at the College, and that Premier Theater was an incredible learning experience. Hall said her big break came during a summer class at the University of Richmond taught by a sociologist who enjoyed writing about television and who had many contacts in the industry. It was through this class that Hall was introduced to “M*A*S*H” star, Alan Alda. Hall said she was a huge fan of the show and it was through talking with Alda that she realized her dream of writing for television was feasible. Hall said she remained in contact with Alda for years following the summer program. After graduating from the College, Hall enrolled in a writing program at the University of Virginia. She finished her first year, and in order to enroll in the second year, Hall had to be approved by a jury, which she was, unanimously. However, her advisor, who held veto ability, refused to pass her unless she gave up her goal to write for television on the account that she was wasting her talent. Hall said she had no intention of giving up writing for television and thus decided to leave the program and move to Los Angeles, California. 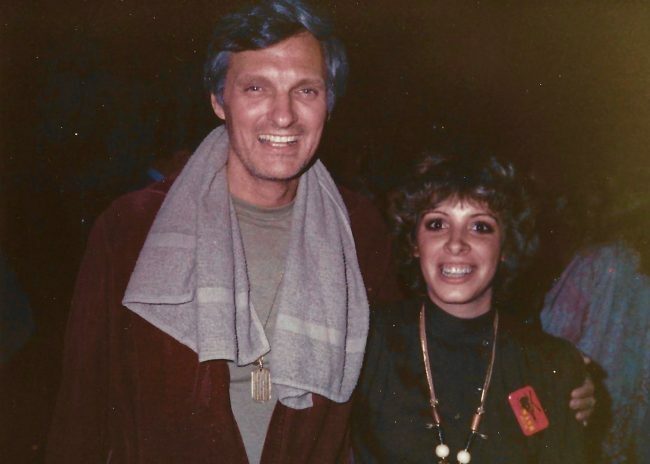 Once in L.A., Hall met with Alda several times, and it was ultimately through Alda’s recommendation that Hall interviewed for a position as a staff writer for “M*A*S*H.” Hall became the first female staff writer for the show; previous female writers were freelancers. After Hall’s two years writing for “M*A*S*H,” she wrote for a variety of shows including “Hill Street Blues,” “Moonlighting,” “Judging Amy” and “The Good Wife.” Hall also wrote a novel titled, “Dark Debts” that was first published in 1996. She said there is a producer interested in turning her book into a television series. Hall also said she is now developing material for herself and will be attending the Content London convention in November with some of her current projects. Hall said that the process for writing is slow at first and requires great amounts of motivation. Hall believes the situation for women writers in Hollywood has not improved greatly. However, Hall does believe positive change has arisen from the #MeToo movement. Hall said women who break into the industry, including her sister, Barbara Hall, executive producer of “Madam Secretary,” can hire female staff members and have the ability to enact real change. Hall said her advice to aspiring young writers is to devote their efforts toward their goal and not to bother getting discouraged by the statistics.